She's so inspiring! I've bought a number of crappy pieces of furniture on criagslist, thinking I'd refinish them. I never refinished them. I bet this happens to a lot of people. As I was getting furniture-making fever an episode of Ask This Old House about sprucing up old furniture. I'm not one to ignore a sign (Tivo knows!) so I bought a little can of wood conditioner and a can of polyurethane. I grabbed the leaf from my dining room table, which was pretty banged up. I never put in the leaf without putting on a table cloth, so I figured if I screwed it up no one would ever know. 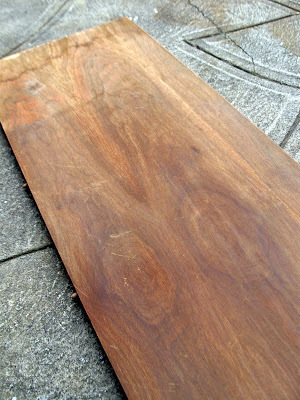 And if it went well I'd have some experience when it came to finishing the table I'm going to build. First you sand the surface. I used an ultra-fine grit but I think I should have gone rougher. It didn't get rid of the scratches. Then you vacuum up all the dust and wipe it down very very thoroughly with a damp rag. 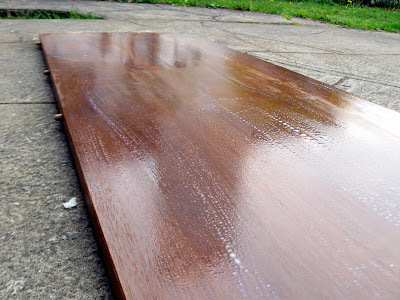 Grit is the enemy of smooth refinishing. 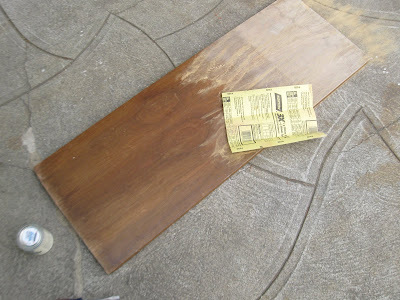 Then you apply a layer of wood conditioner. Leave it on for 1-5 minutes then wipe off the extra. You'll want to let this dry for 15-30 minutes. Then you get to lightly sand, vacuum, and wipe the surface again. 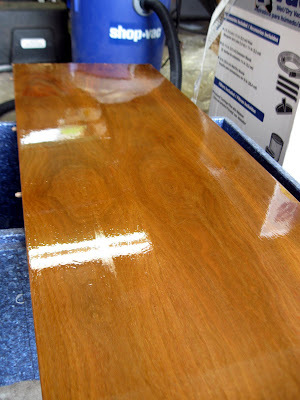 Using a foam brush, apply a coat of polyurethane. Be sure to think, "Why wear gloves?" and get this stuff on your hands. It smells bad AND it never comes off. I NEVER LEARN. Let it dry for at least 4 hours (I waited overnight since it's so wet out) and then sand, vacuum, wipe, and coat again. Wait overnight and then repeat again. It looks a lot better, though there are a lot of scratched still visible. 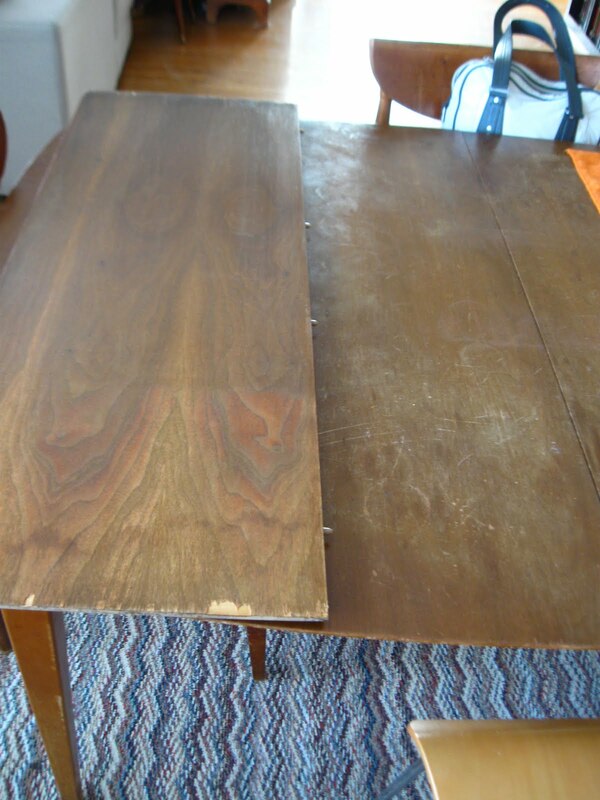 It's enough of an improvement that I'd like to try and refinish the rest of the table, but in the summer, when it's warm. That's a lot of sanding and a lot of fumes to endure; I might as well enjoy some sun on my face while I do it. And then? 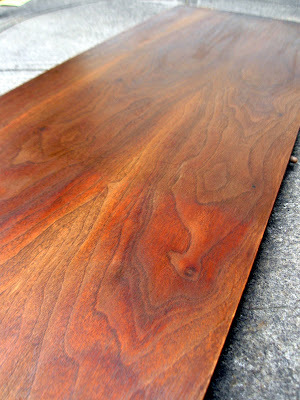 I'm building two of those tables, making them nine feet long, and having dinner parties inside AND out. 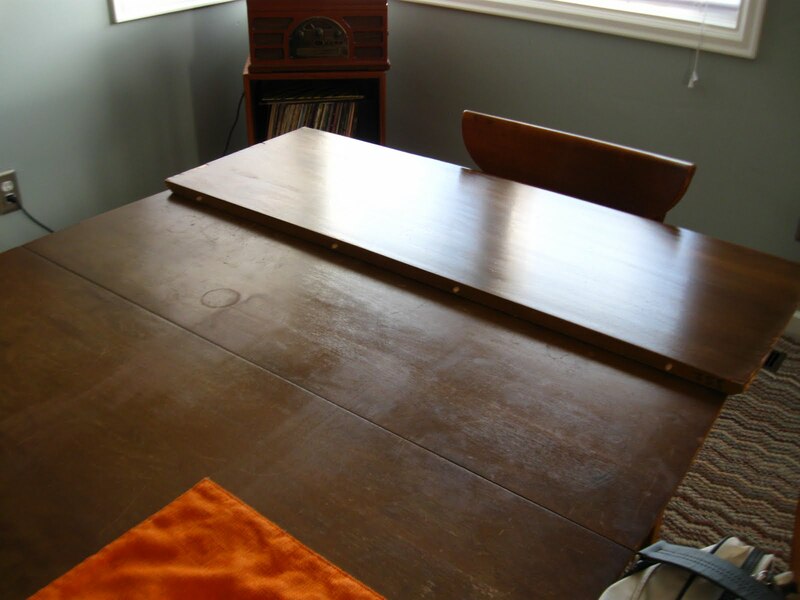 And then this old table can go in the basement. This is great Heather! I love refinishing furniture (based on the few pieces I've done), and I've learned that an electric sander is definitely worth the small investment. Let me know if you ever wanna give mine a test-drive. 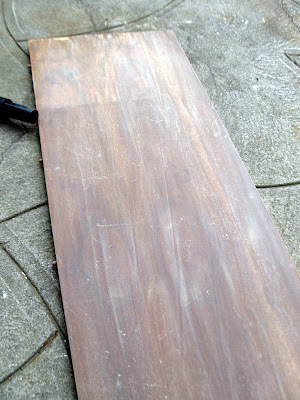 Hey Krissy--I have a small sander but thought I might damage the veneer. Is it easy to not get out of control with a power sander? Oh good, you have one! I think that if it's just a hand sander you'd be fine, especially with finer grit.